The final races before the summer pause were a strange mixture. 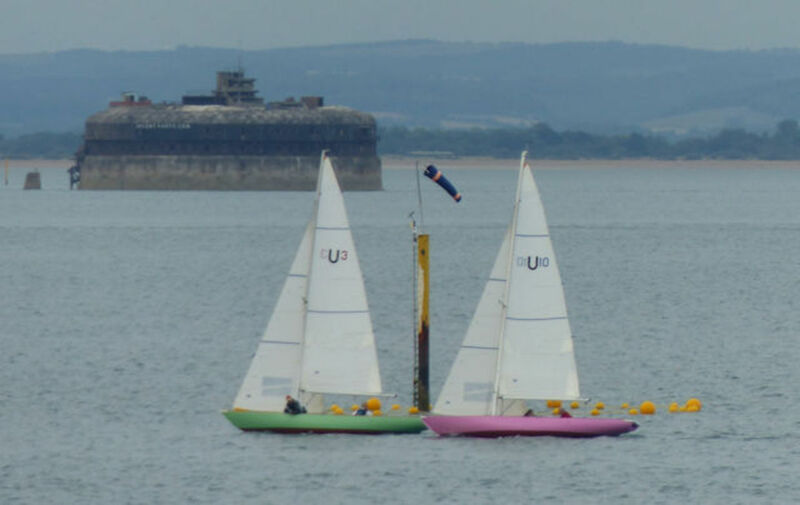 On Wednesday there was a good turn-out with 11 boats in benign sailing conditions. Thursday’s weather forecast was not good with strong winds expected – in the end the wind gave up and 7 of the 14 Mermaids did not finish. So far in the series we have lost four of the Wednesday races and none of the Thursday ones. Normal service will be resumed at the beginning of September.